Gift cards, business cards, clear business cards, key tags & plastic cards. We create unique custom plastic business cards, clear business cards, gift cards, key tags and more—in every shape and size imaginable. We print custom plastic business cards, clear business cards, gift cards, key tags and more—in every shape and size imaginable. Our in-house plastic printing process allows us to be flexible, fast and accurate! Low quantities? Not a problem. Ask about our variable printing and print options to save on your next business card order. Looking for a cool business card? 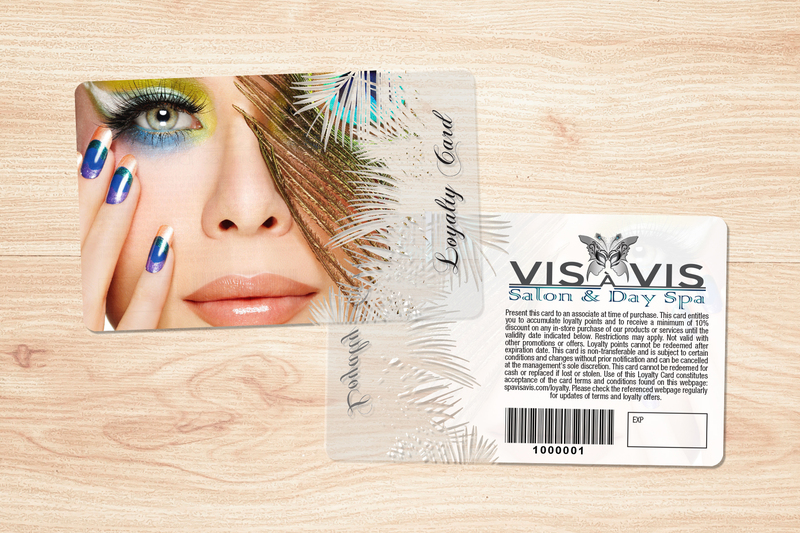 Consider a clear plastic card, transparent, foil, custom shaped and more. We can print directly from your business card design or have one of our professional designers create one for you. 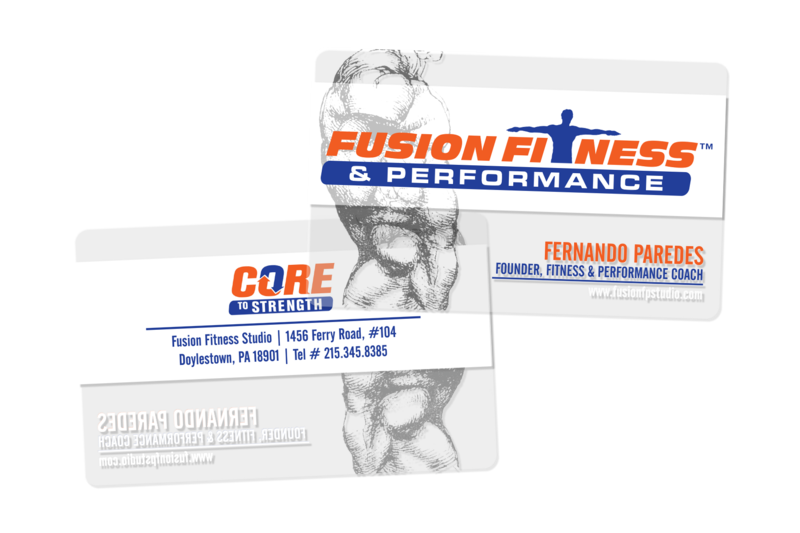 Custom plastic cards that can be used to market and promote your business, products and services in innovative new ways. Create a high-impact first impression with our plastic business cards! From clear/transparent to foil business cards and more! We can customize and create many different custom plastic products to be as unique as your business, brand, event and your marketing needs! Wow your clients with clear cards! 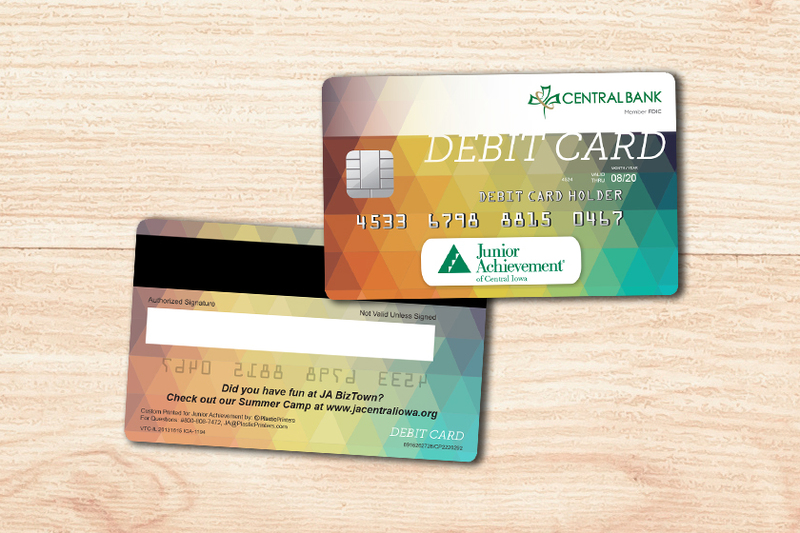 Using clear and frosted elements will give your cards an extra pop and help take your branding to the next level. This popular design feature is available on all card types including loyalty cards. It's time to bring some extravagance to your plastic cards! 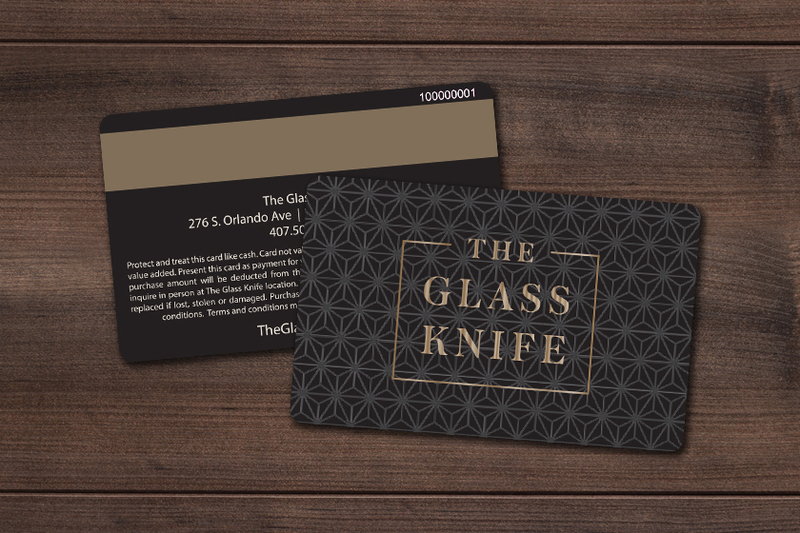 Foil stamping can be used to replicate the look of a credit card, or to attain different metallic effects. Achieve the look of precious metals such as gold, silver, platinum, bronze with metallic elements. Or you can choose to use a platinum card to add a little sparkle and shine to your marketing efforts. Use custom shapes to create a card that's as unique as your business. With unlimited shapes and sizes, the possibilities are endless! If you don't see a shape that you like, we can create a shape just for you! 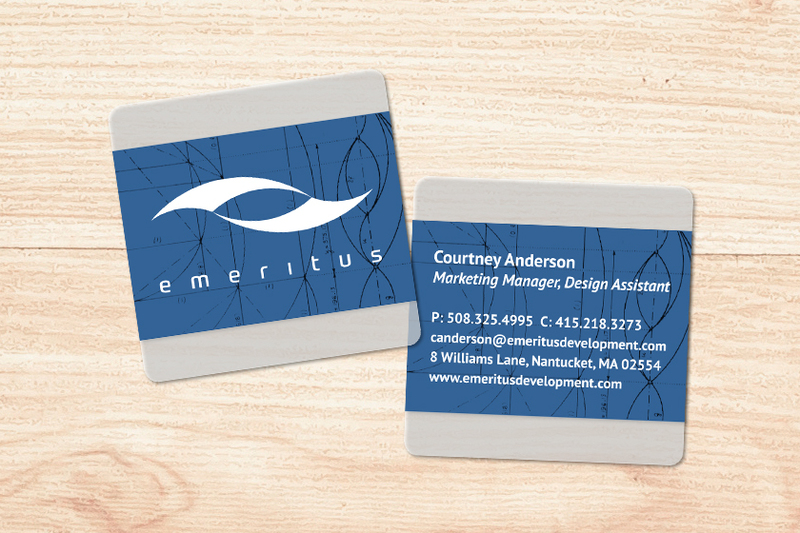 The matte finish on frosted business cards give them a bold, professional look and feel. 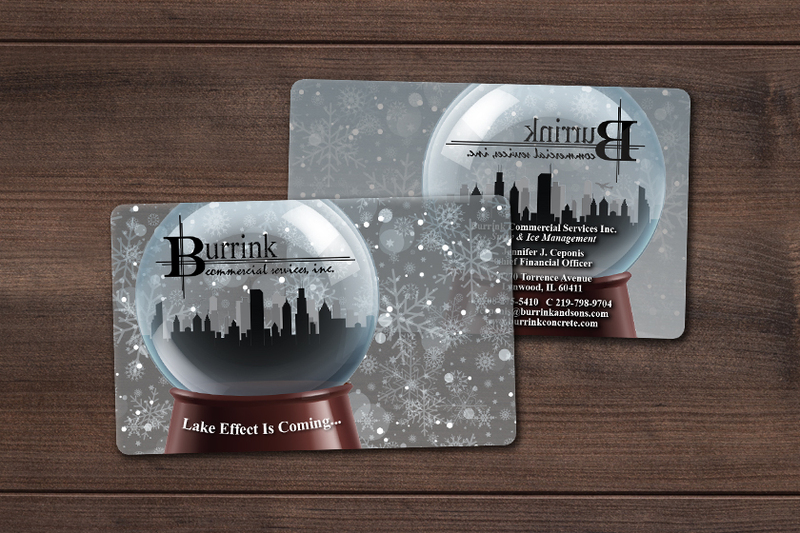 Creating an unforgettable business card that your customers, co-workers and potential clients will love. Use this incredibly versatile marketing tool to boost your membership, loyalty, or rewards program. 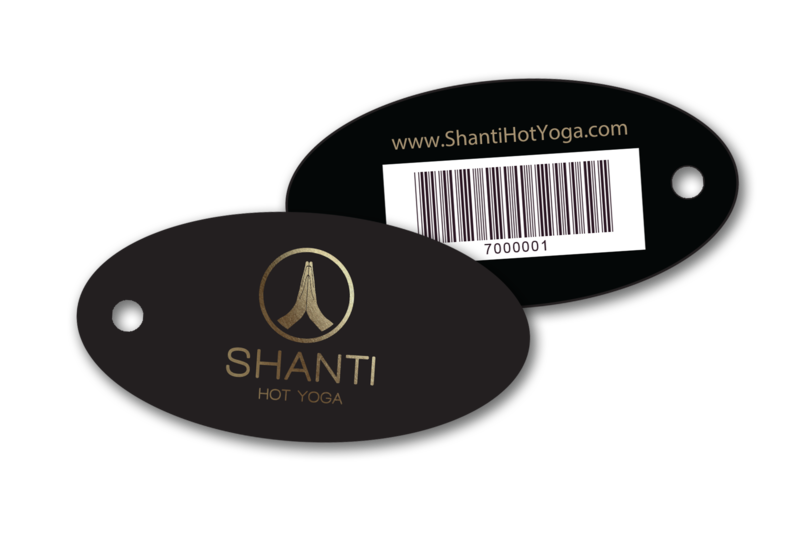 With limitless customization options, your key tags will be sure to stand out and impress your customers. Bring your business card to new heights by using embossing. Whether you are highlighting information or creating a unique design, embossed business cards pique interest and spark conversation. Make your first impression count! 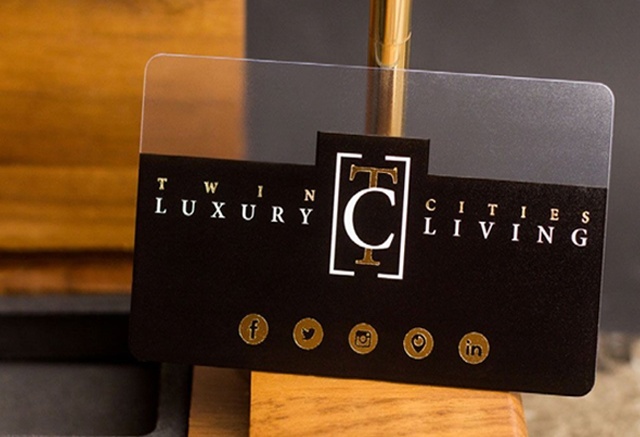 Add clear accents to your business card to catch your customer's attention and communicate a willingness to invest in a relationship that lasts. Who's getting amazing cards lately? Customizing your plastic business card is fun and exciting—and should never be overwhelming. It is our goal to make it easy for you. Whether you have an idea for your business card or need an idea, we are here to help. Fernando P. uses a clear business card to rise above the competition. These high-impact cards make a powerful impression and are sure to get new customers through the door. 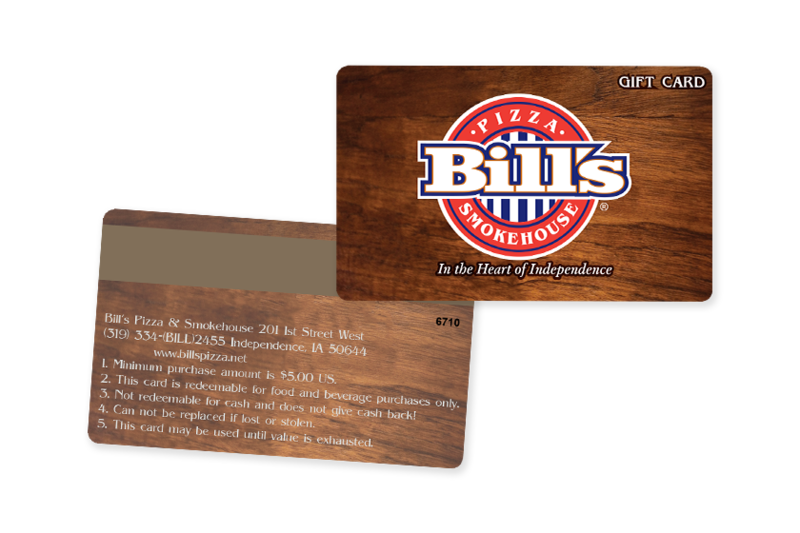 Bill V. designed his gift cards to retain existing customers and help acquire new ones. Gift cards are one of the most cost effective ways to market your business. 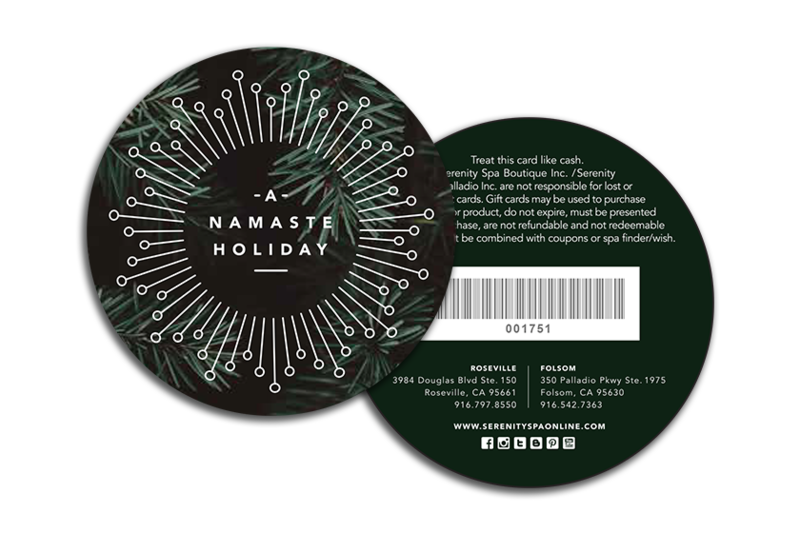 Christine J. uses a custom shape to make her spa gift cards stand out! 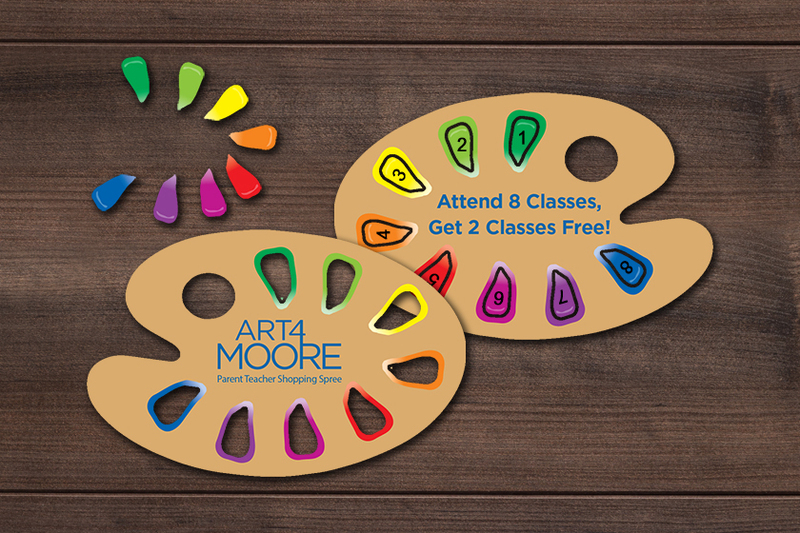 Unique shapes are a fun and effective way to capture the attention of your customers. 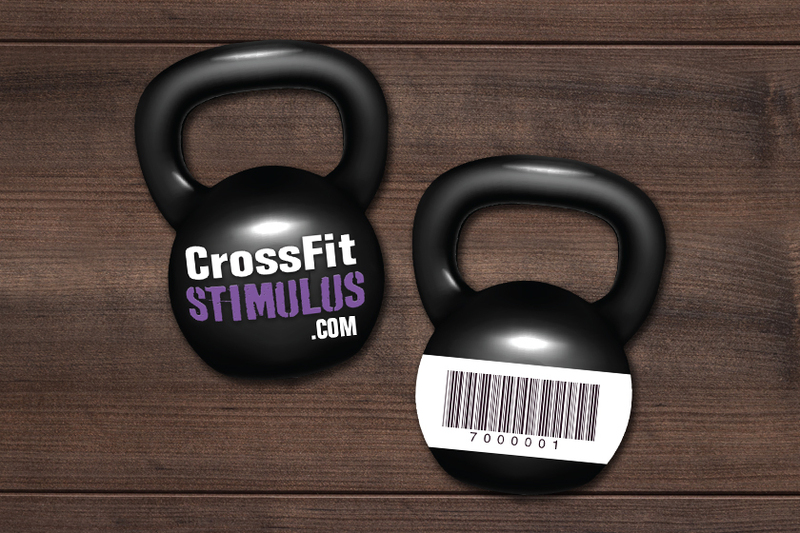 Patrick D. uses his membership key tags to speed up the check-in process at his gym. This keeps his members happy and builds customer loyalty. We're proud to introduce a member of our team that will be a big part of bringing your card design to life - Tom Wiener. 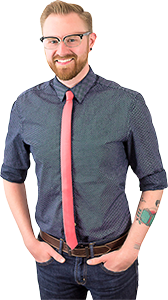 Tom has extensive experience designing on plastic for over 13 years. He has trained designers internationally and his designs are exhibited in art galleries here nationally as well. At Plastic Printers we offer an extensive variety of custom design options. Tom not only has experience with all of our design platforms, print mediums and equipment; but he also manages an experienced team of professional graphic designers to ensure your designs reflect your vision. Thanks Tom, our customers are in talented hands! 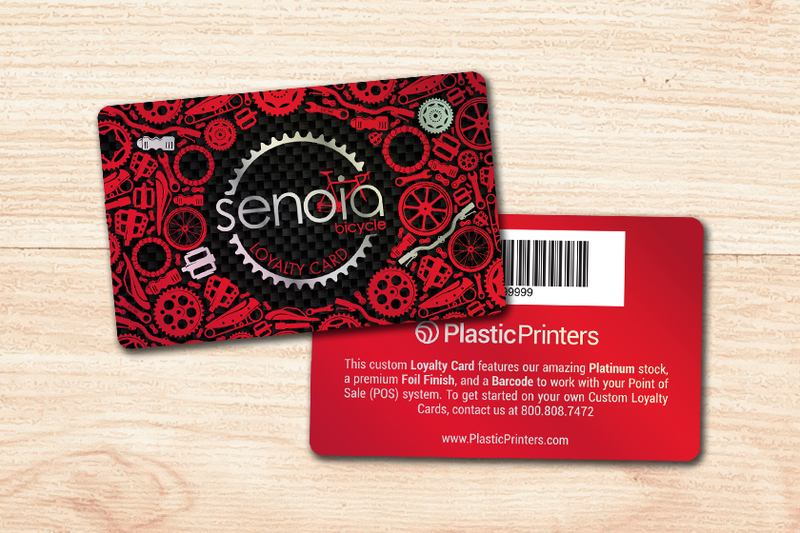 At Plastic Printers, we offer a variety of plastic cards to meet the needs of your growing business. 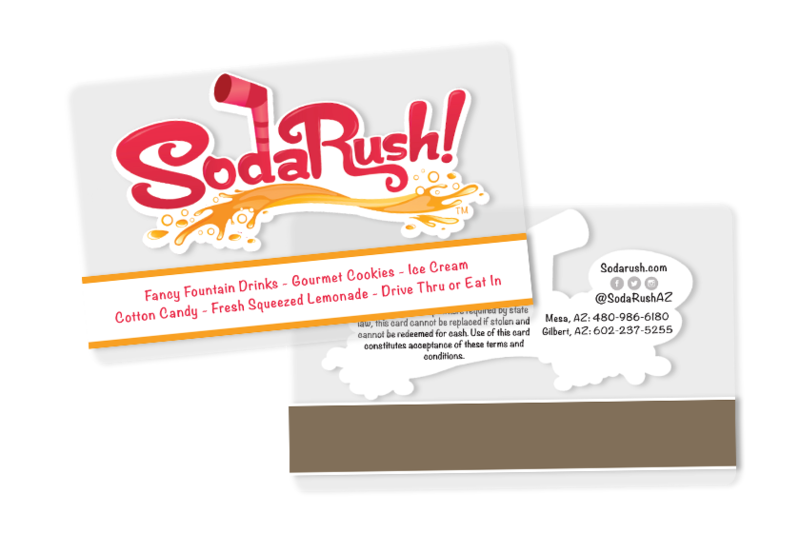 We specialize in creating plastic business cards, custom gift cards, loyalty cards, reward cards, membership cards, key tags, ID badges and discount cards, They're all available in any color, transparent or clear, frosted, custom shapes and much more! We have highly-talented graphic designers who will provide you with cutting-edge designs for your plastic cards, key tags and more. Experts in every shape and size plastic cards imaginable! With every project, we listen intently to your needs and find a solution that best fits your budget and time frame. We ensure your project is produced to exceed your expectations in both form and function. Before we ship your final product, we do one last inspection to ensure we provide you with the highest quality product. Every element on these cards were designed to be accurate to 1/1000 of an inch, and I can tell there was no deviation among them, because they’re all clear! This is the quality of work I was looking for, something I know I wouldn’t have been able to achieve elsewhere. The final cards have made great first impressions and have had 100% “wow factor” each time. On two separate occasions I walked into a company that would normally not even schedule an appointment and I was able to win them over largely in part to the quality of my business card. We wanted a unique business card that would work within our budget. We've had very positive reactions when handing out our new cards and they have made quite a return on our initial investment. Let’s get started on your custom plastic cards.